It’s not often that you can pull a forgotten gem out of the trunk, showcase it in a tasteful setting, and reveal it for the magnificently neglected thing that it is. Chicago Opera Theater has succeeded in doing us that favor with Tchaikovsky’s dreamy, naturalistic 1892 opera “Iolanta” – the composer’s last – performed by able forces at the Studebaker, a lovingly refurbished 740-seat jewel-box on Michigan Avenue that also dates from that same last decade of the 19th century. Although “Iolanta” reveals Tchaikovsky as a consummate orchestrator at the peak of his powers – presaging 20th-century impressionist and other modern musical trends – the opera itself has a curious history that worked against its secure footing in today’s repertoire. That is regrettable, considering Tchaikovsky’s astonishing veiled textures, his ravishing passages of mystical yearning and love in bloom, and the subtle transfigurings of musical darkness into light. Iolanta senses something is wrong, but loving caregivers soothe her, attending to her needs day and night as her father, the king, has decreed. Iolanta is a young princess, blind since birth but unaware of her affliction. Her royal father has commanded that she be sequestered in lavish comfort, with around-the-clock servants who participate in the gentle con. (Their lullaby, “Sleep, let the angels cast their dreams,” is a highlight.) Thus Iolanta has grown to womanhood in innocence, cultivating a complex inner world, but increasingly anxious that something is terribly wrong. The curious historical angle is that the opera was initially paired, at the MariinskyTheatre in St. Petersburg, with another Tchaikovsky work focused on an adolescent girl – “The Nutcracker” ballet. In fact, “Iolanta” was more successful than “The Nutcracker” at the time. But that was then. Today, of course, the ballet has been officially adopted throughout the U.S. and much of the world as a Christmas-time treat, family fare for all ages. This is not the “Iolanta” audience. Other “Iolanta” pairings have been tried. I did enjoy it with Bartók’s “Bluebeard’s Castle” at the Met in 2015 – but pairing is commentary, and “Iolanta” seemed to darken in the foreshadow of Bartók’s bloody serial killer saga, however much soprano Anna Netrebko made it Iolanta’s night. Another pairing, at the Festival d’Aix-en-Provence, contrasted Iolanta’s happy fate with Stravinsky’s 1934 “Perséphone,” about the queen of the underworld, who ascends annually in a rite of spring, only to fall back again to darkness. 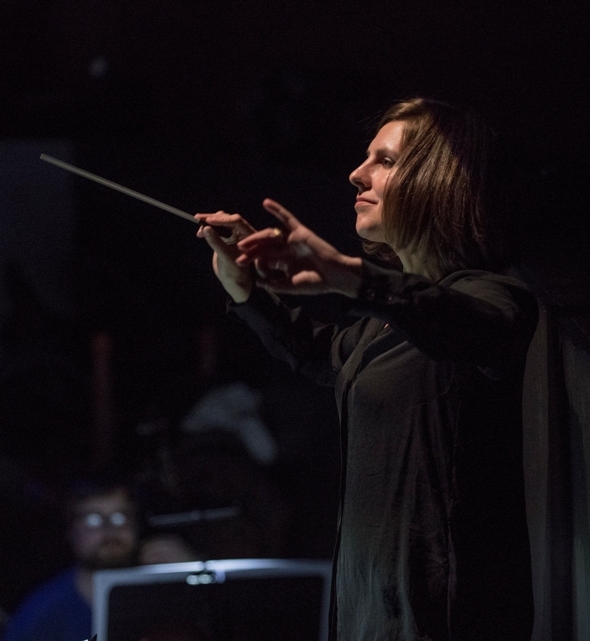 But “Iolanta” really belongs front and center, all by itself, as Chicago Opera Theater has given it under the perceptive guidance of its new music director, 32-year-old Russian-born Lidiya Yankovskaya. The opera hardly seems short, in this era when 90-minute films and short plays are quite the norm. 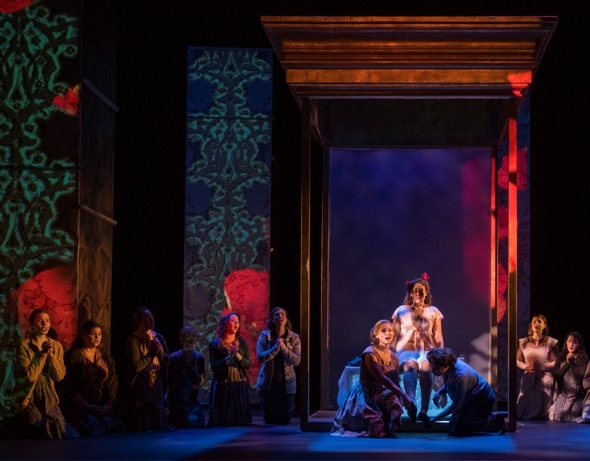 The production, directed by Paul Curran with a scenic design by Alan E. Muraoka, featured multi-sided columns that rotated and took on projections. And the company has been highly creative on a budget. 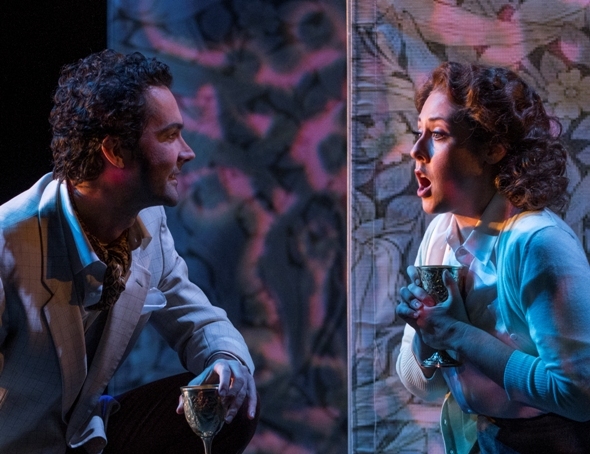 Director Paul Curran, working with scenic designer Alan E. Miraoka and lighting designer Driscoll Otto, delivered a chameleon-like setting that responded with charm to plot developments. 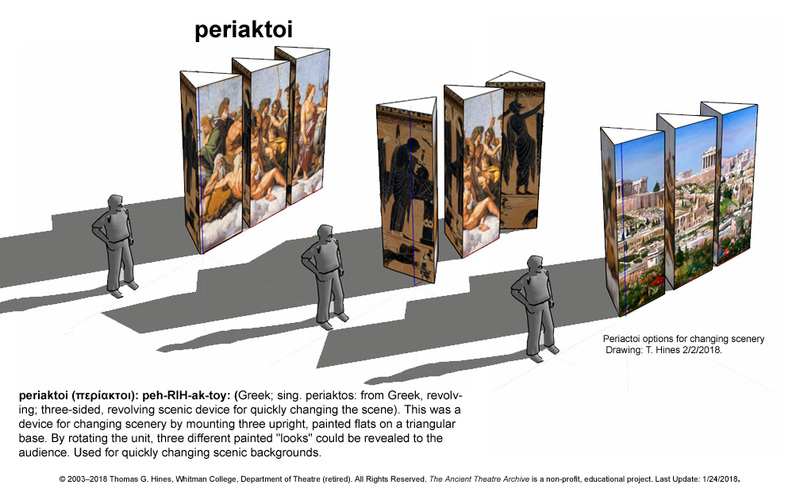 Tall, multisided, movable columns functioned like ancient theatrical periaktoi in their ability to rotate for scene changes, becoming walls, or taking on flickering projections that suggested the night forest, the regal outer world, even Iolanta’s inner realm. And costumes by Jenny Mannis were of that handy vintage, the distant present. Today we’re used to full-sized symphony orchestras lavishing their wares on Tchaikovsky; twice as many strings in the pit would have been nice, if as unrealistic and costly as extra rehearsals. In the first few minutes, Yankovskaya seemed more focused on not rocking the boat than on steering agressively, but that’s what a conductor does when unexpected things happen, onstage or in the pit, in real time. It’s clear she was listening and that rapport improved as the show went on. Russian bass Mikhail Svetlov was outstanding as all-powerful King René, who is humbled by the challenge of how to care for his blind daughter, rapidly coming of age..
Key singers drove the make-believe, romantic plot, first among them the veteran Russian bass Mikhail Svetlov, outstanding as the genuinely good guy King René. He is struggling to do right by his daughter Iolanta, albeit in a typically autocratic way involving preposterously bad thinking: René has not only sequestered his own daughter, but he’s planning on keeping the fact of her blindness from the nobleman who is promised to her, presumably so the fellow can’t back out before the wedding night. Doctor Ibn-Hakia (Bill McMurray), evokes Eastern philosophy to warn that Iolanta must be told of her condition so that she can play a role in effecting her own cure. Vocally sound and musically thoughtful young talents filled out the cast. Chicago-based soprano Katherine Weber is an emerging artist who adds the title role of Iolanta to leading roles such as Violetta and Rosalinda on the regional circuit. She was believable and endearing as she awakened to her predicament, and to love. Baritone Christopher Magiera was hilarious as Robert, Iolanta’s intended, who arrives profoundly distracted by the high state of sexual bliss he has been enjoying with Matilde, a name he keeps repeating as his tessitura rises. 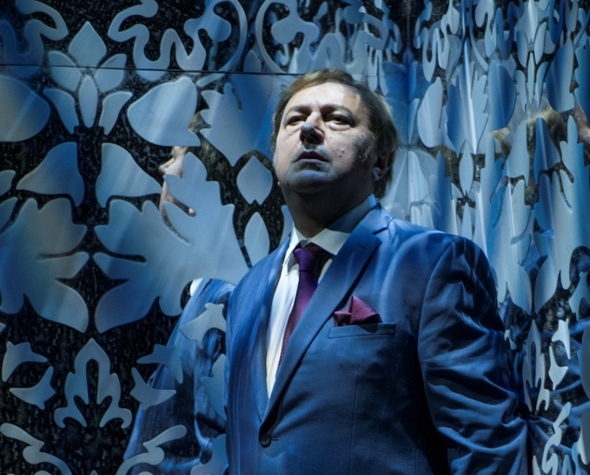 Vaudémont (tenor John Irvin) falls in love with Iolanta (Weber), who endears herself to him even as he begins to understand that she is blind, and unaware of it. 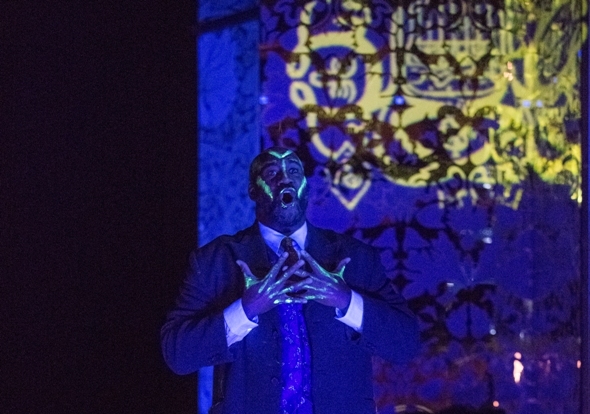 Ryan Center alum John Irvin, a smart tenor and generous collaborator with a sweet stage presence, was appropriately laid back at first as Count Vaudémont, sidekick to Robert. Then, as Vaudémont discovers Iolanta and falls quickly in love, Irvin’s portrayal became more urgent. In their convincing love scene together, he conveyed the essence of this gobsmacked, happy witness to the wisdom of her protestation that the beauty of the world lies in more than what one can see. Chicago’s theater community is internationally admired for its tiers of big theaters, medium-size companies and storefront entrepreneurial efforts that provide synergies of all kinds. There is abundant youthful energy, alternative programming, and assertive insistence bubbling up from below. 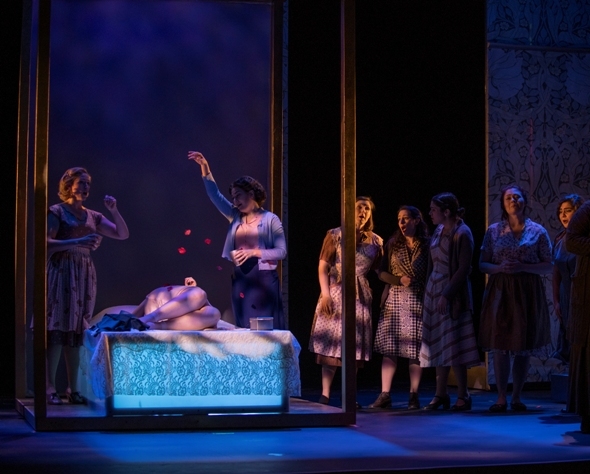 What’s perhaps less appreciated is the nourishing effect on Chicago’s classical music soil provided by the smaller opera companies and chamber ensembles specializing in all kinds of music, from very old to very new. As Chicago Opera Theater’s new artistic director, Yankovskaya is already making her mark. She’s simply right about “Iolanta.” Its Chicago stage premiere at these performances was long overdue. Russian-born Lidiya Yankovskaya, 32, made her debut as music director of the Chicago Opera Theater with the 1892 Tchaikovsky opera.